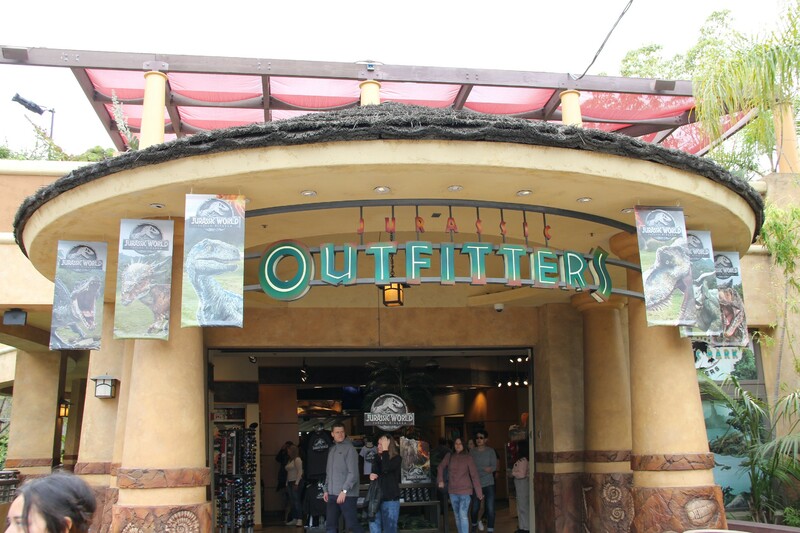 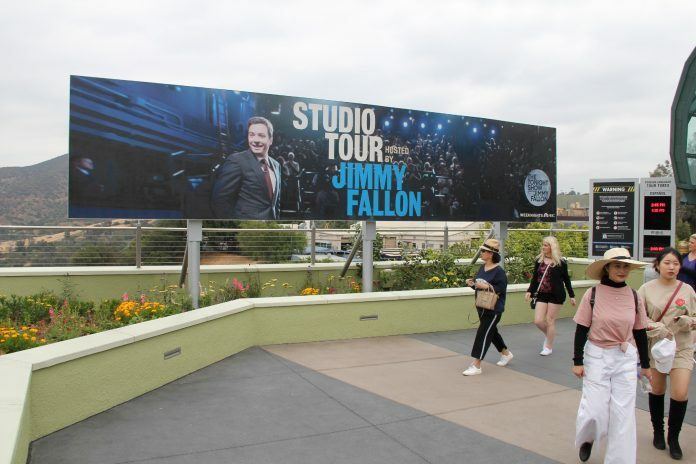 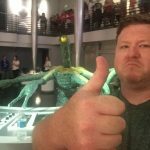 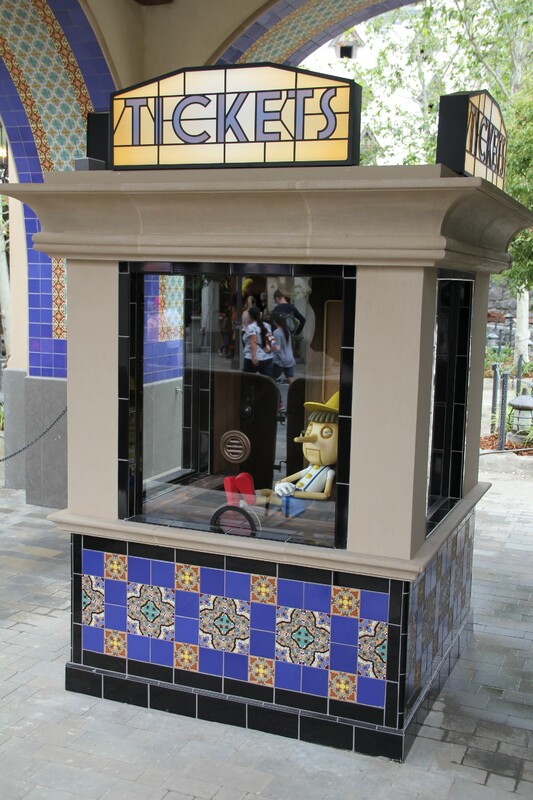 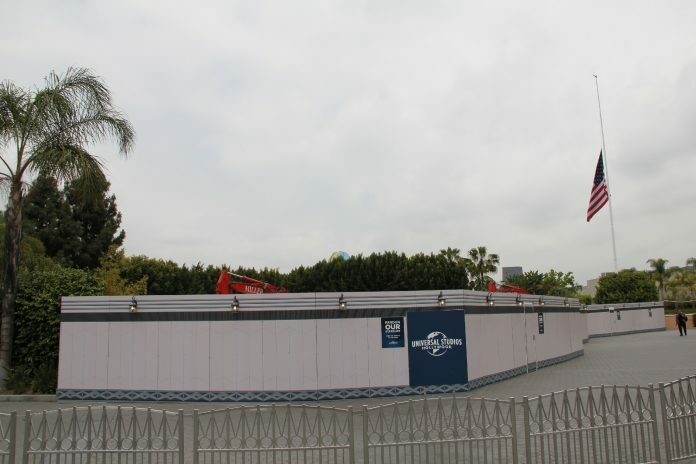 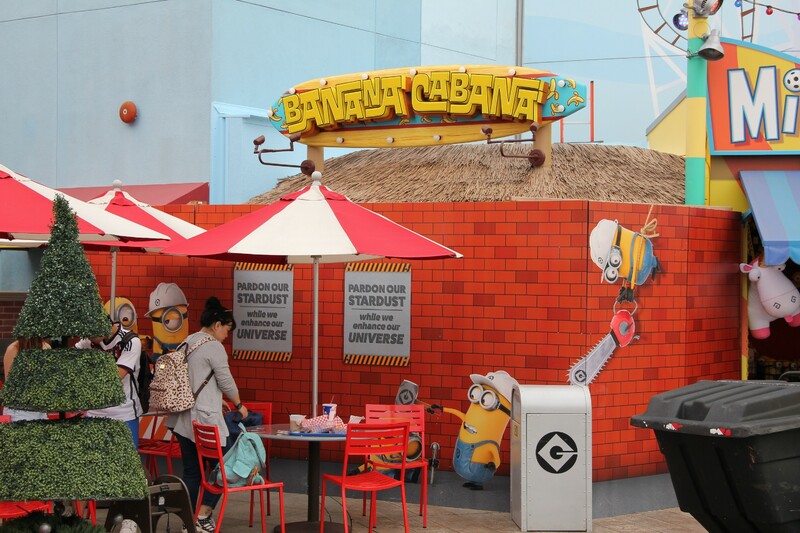 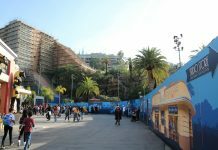 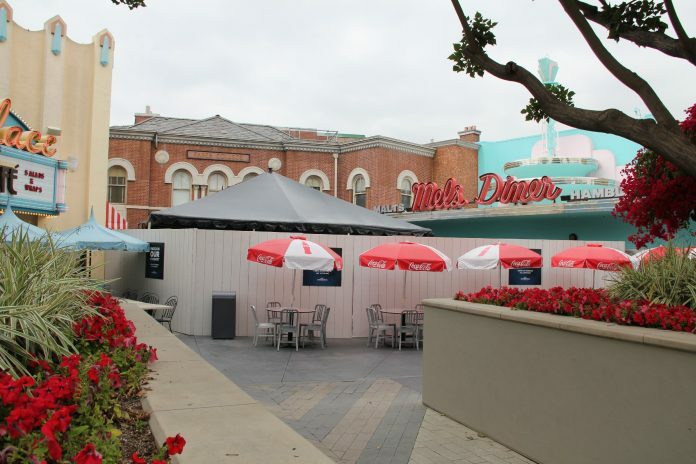 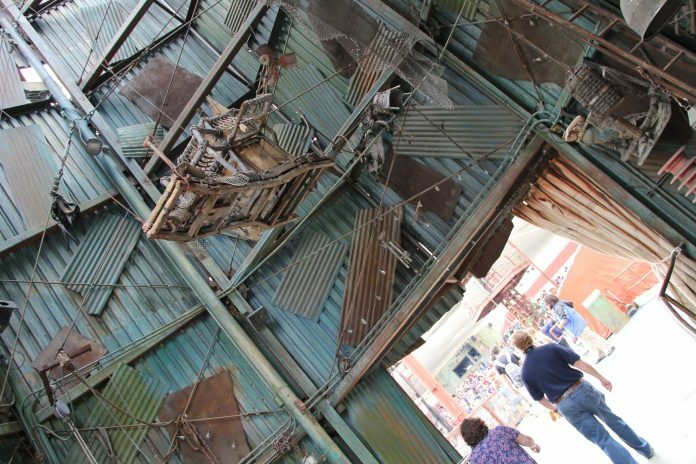 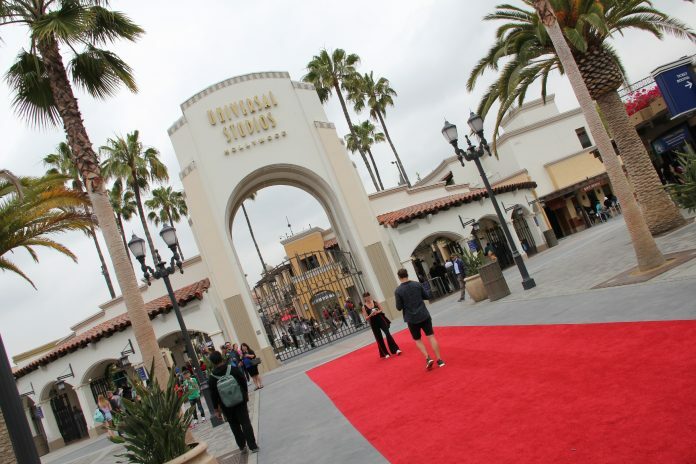 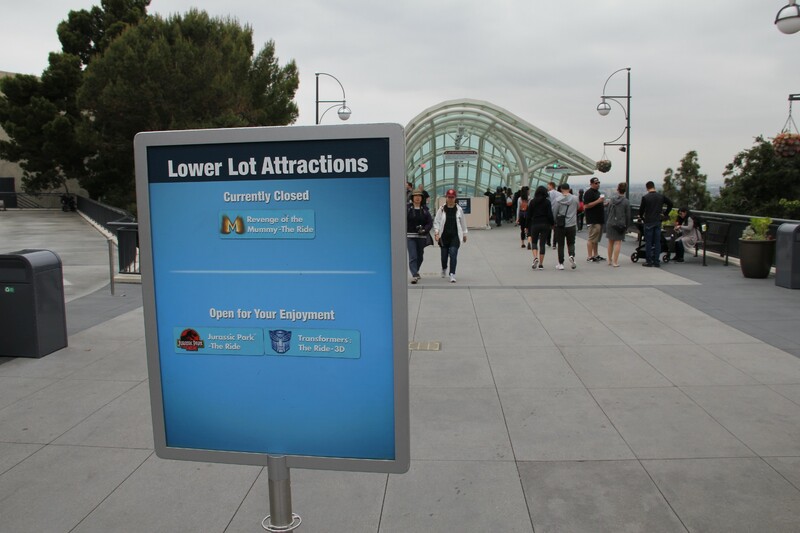 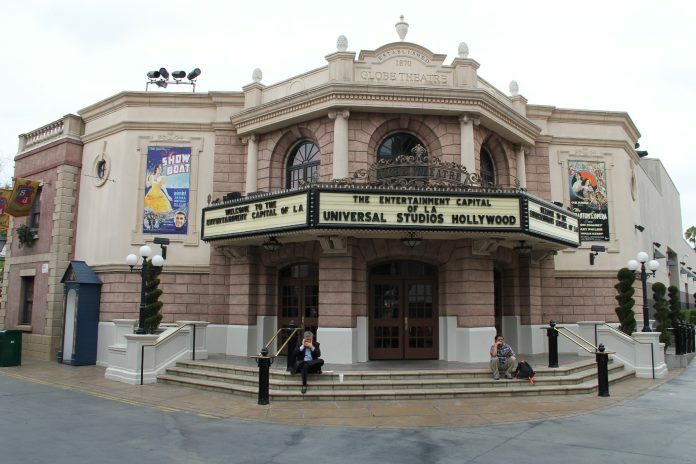 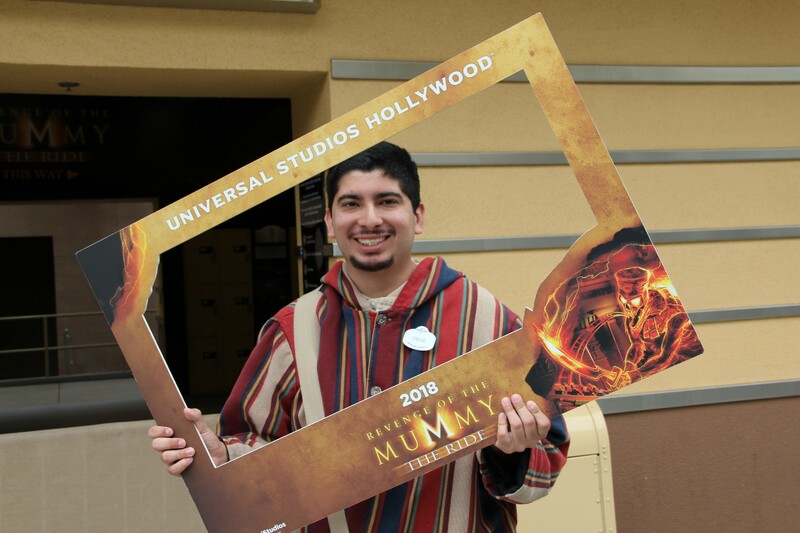 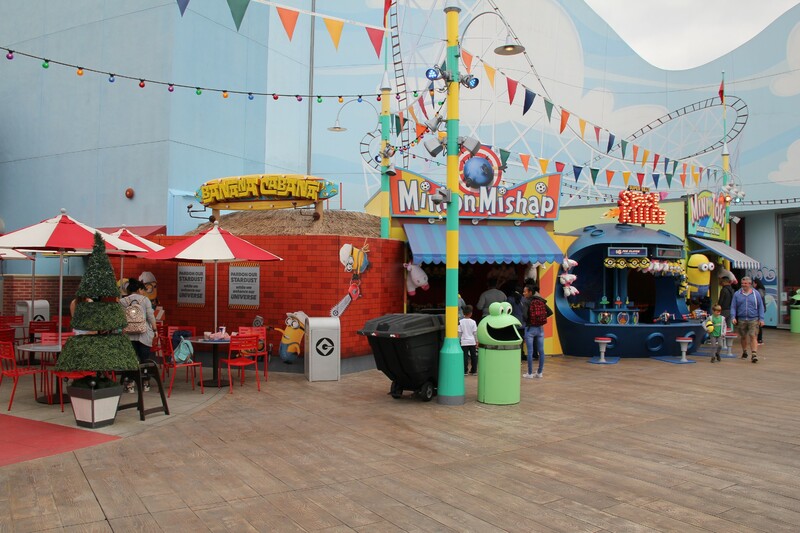 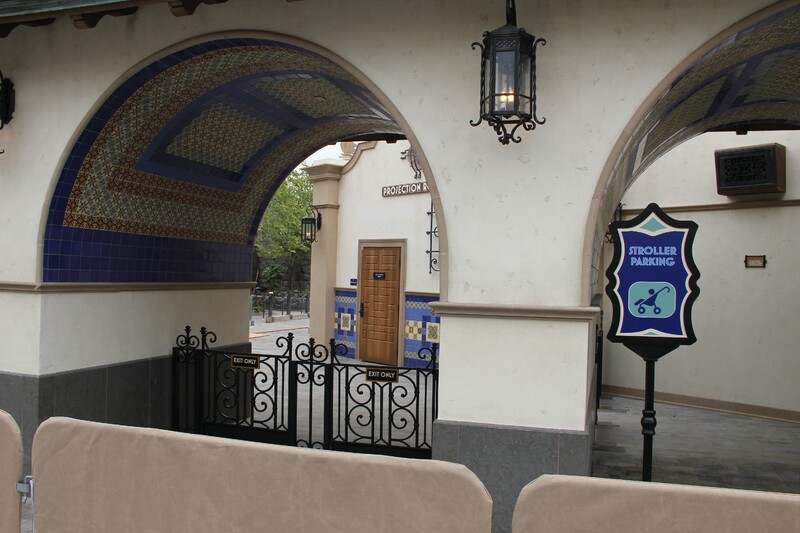 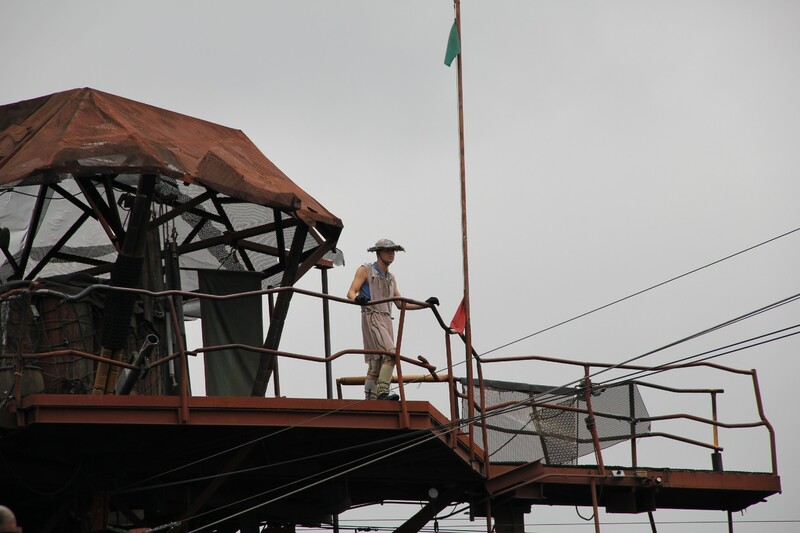 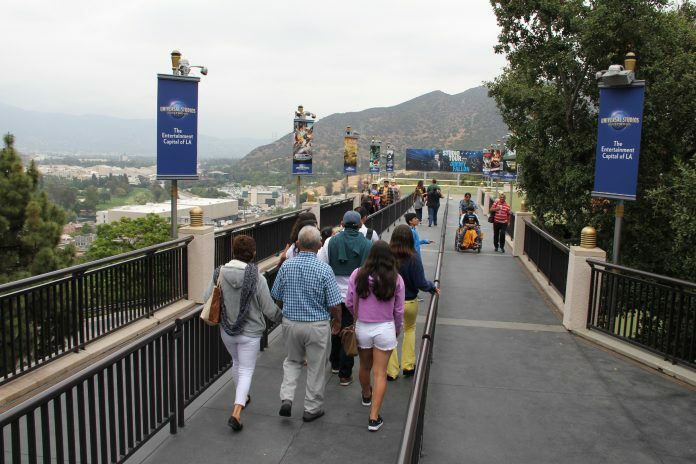 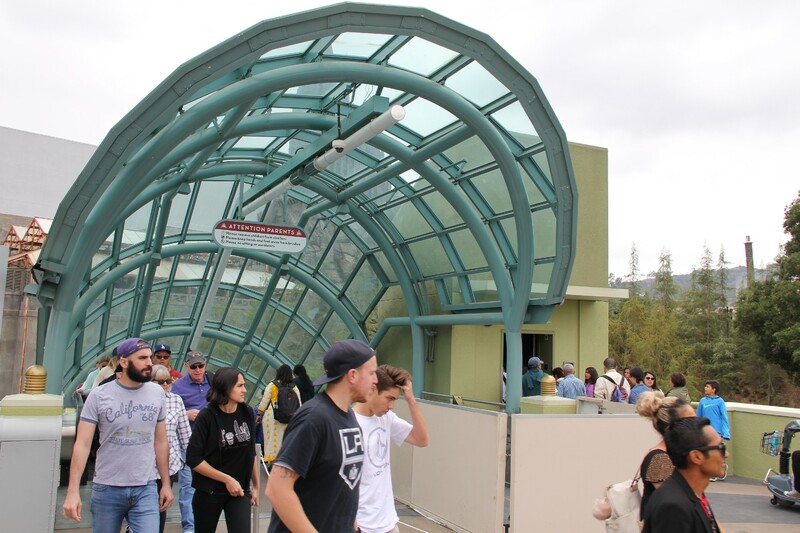 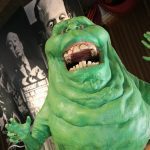 It’s time for May’s photo update around Universal Studios Hollywood! 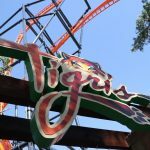 This month, we take a look at some of the park’s projects that are wrapping up, and others that are just getting started! 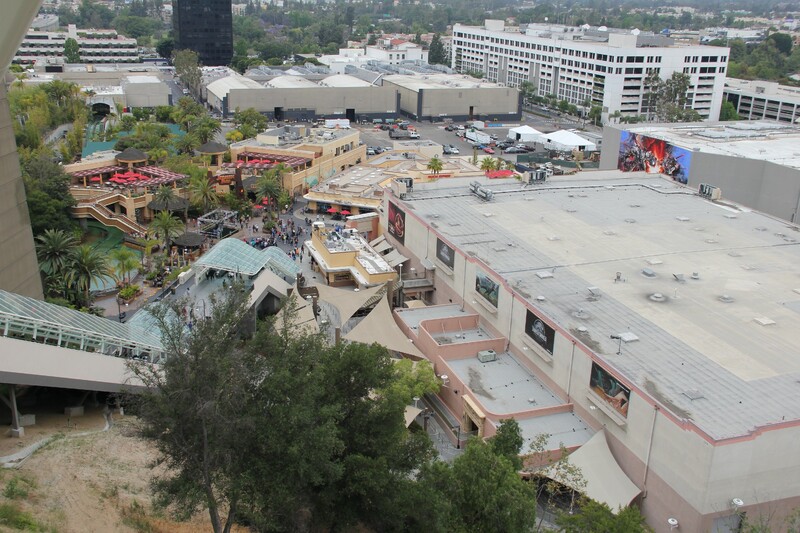 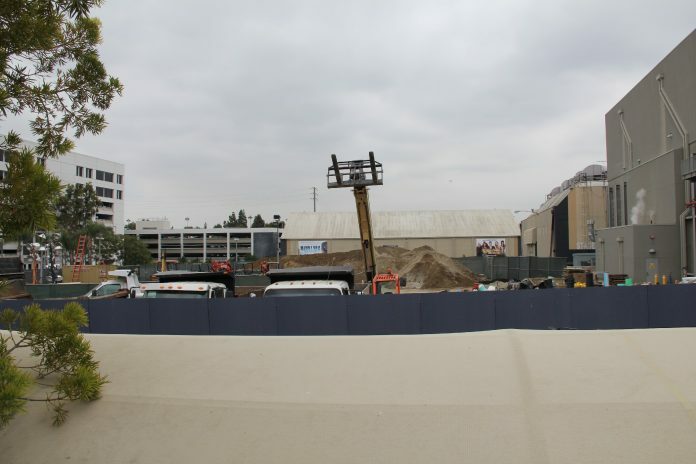 In CityWalk, the big change was the demolition of Saddle Ranch, which is now completely gone. There is still no word on what will be built in its place. 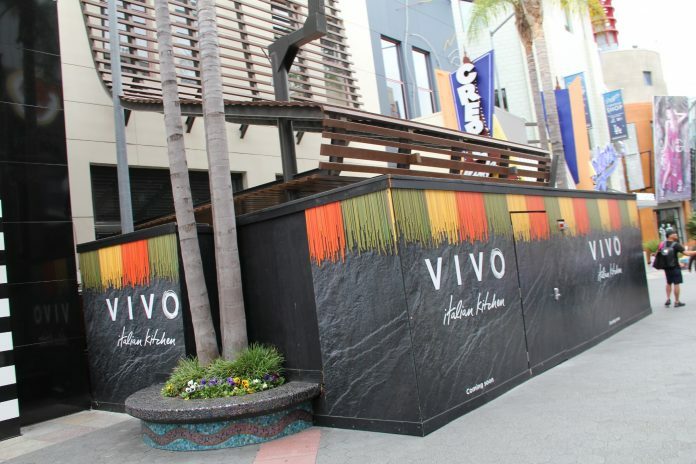 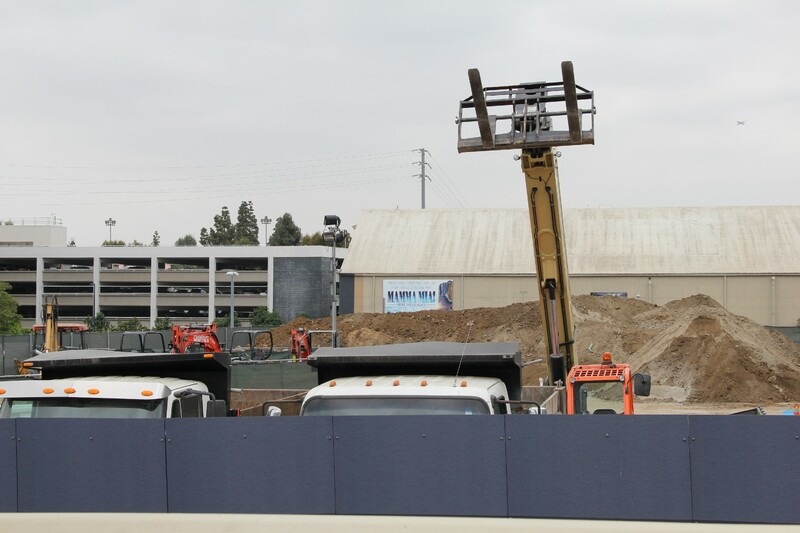 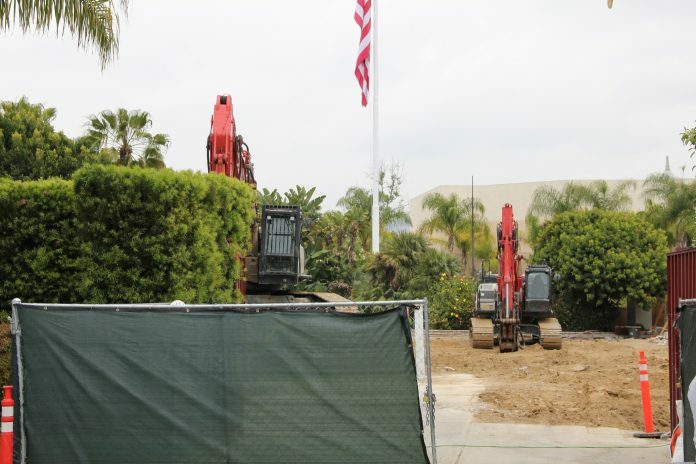 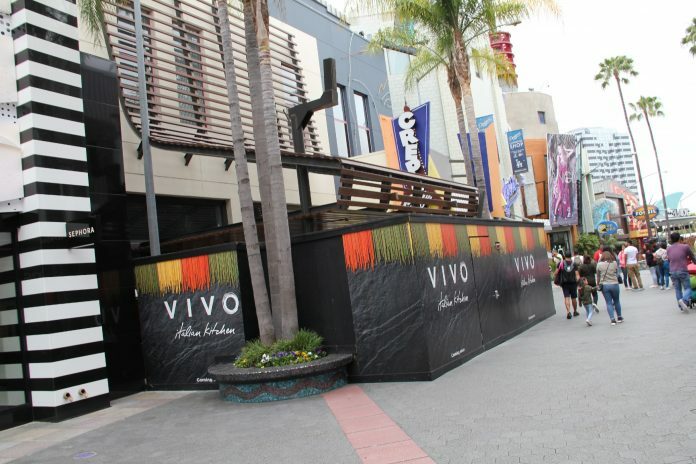 Walls are still up around the future home of Vivo – with no visible changes to the exterior. 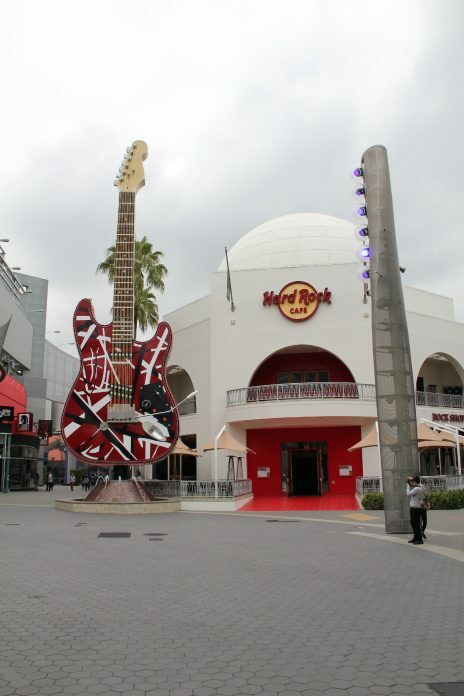 Over at the Hard Rock Cafe, they recently finished refurbishing the huge guitar to give it a completely new look. 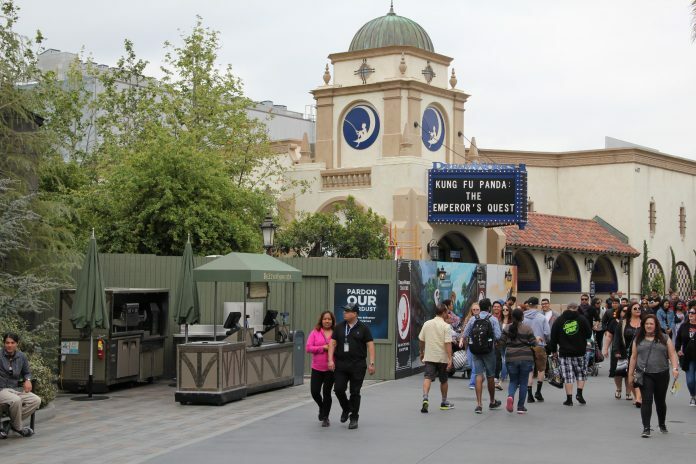 It was recently announced that the Globe Theater will no longer be accepting reservations past July 1, sparking conversation about what the future holds for the location. 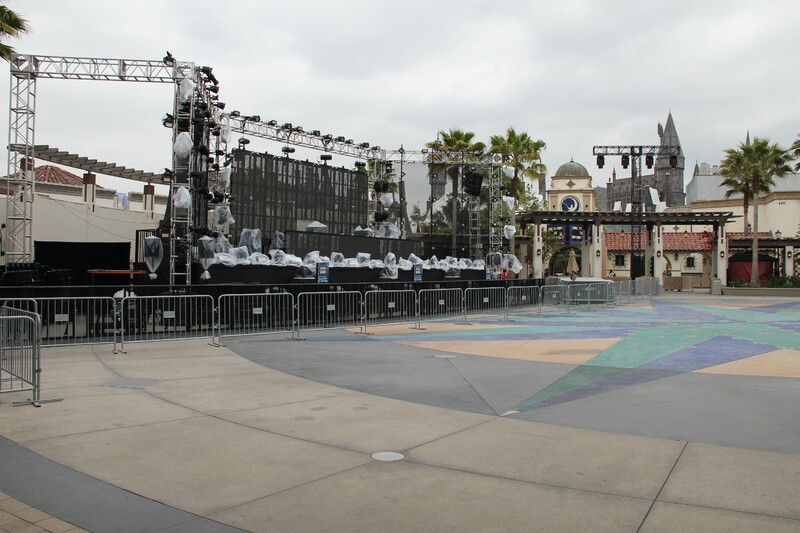 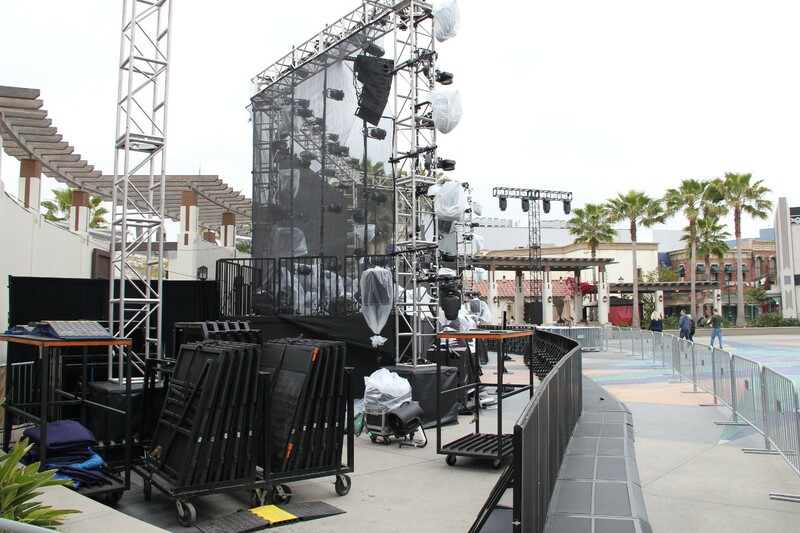 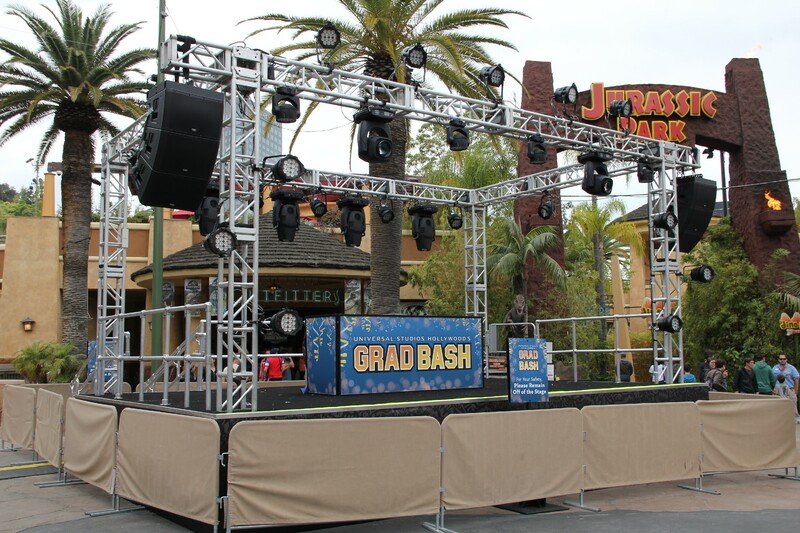 During our visit, Universal was setting up for a night of Grad Bash around the park – especially around Universal Plaza. The finishing touches are being put on the newly-redone theater as it gears up for its opening in June. 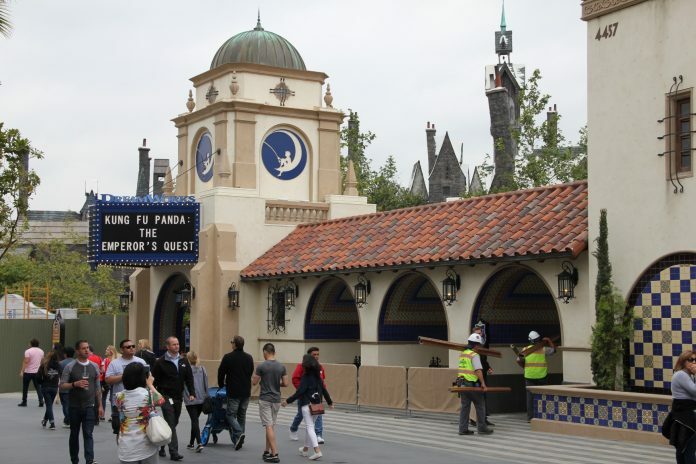 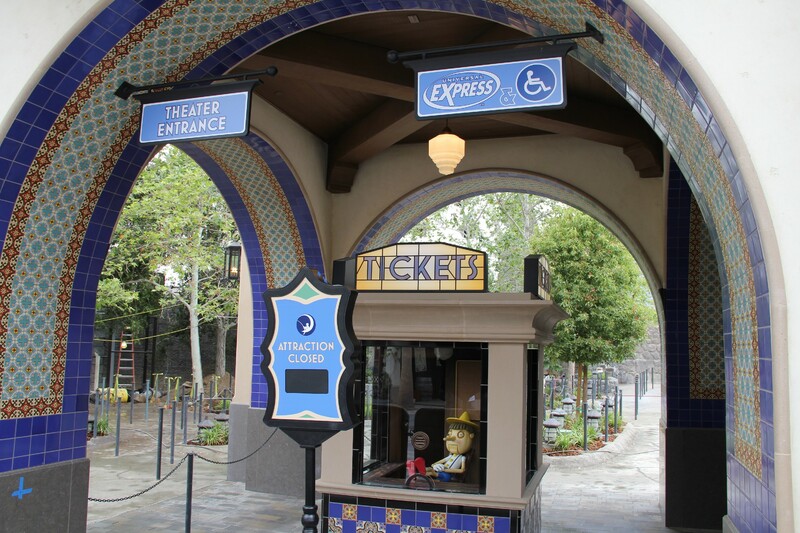 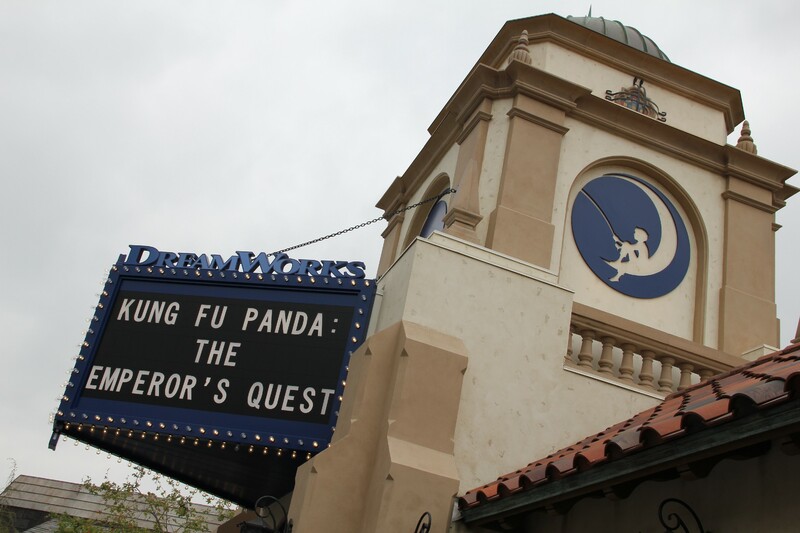 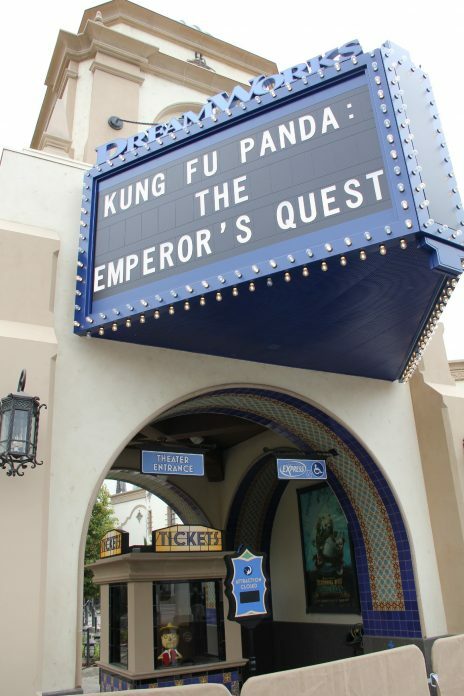 DreamWorks Theatre Featuring “Kung Fu Panda: The Emperor’s Quest” will officially open June 15. 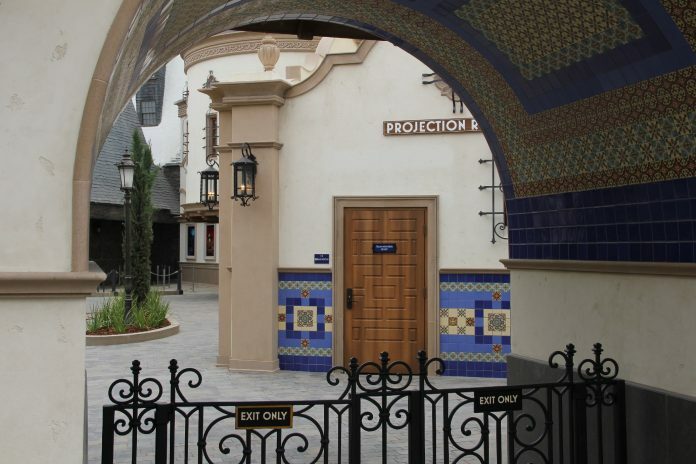 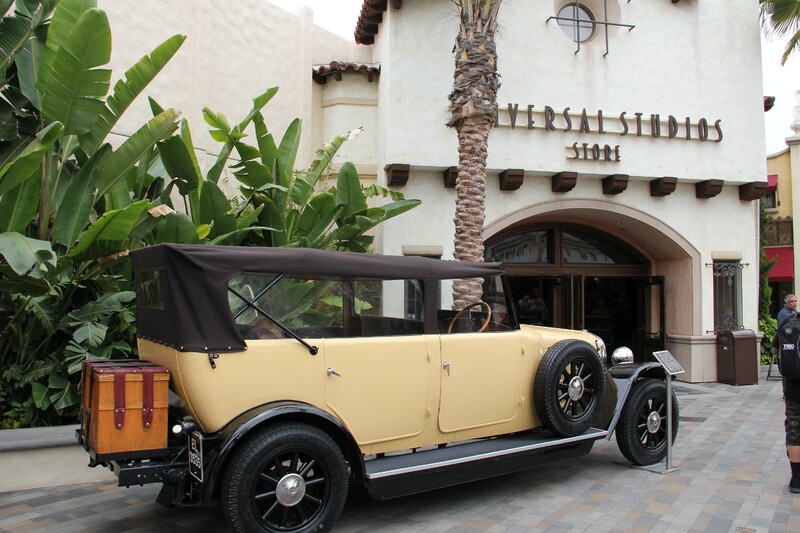 The look of the theater is inspired by Mission revival architecture and harkens back to the Golden Age of Hollywood’s Art Deco period of the 1920s. 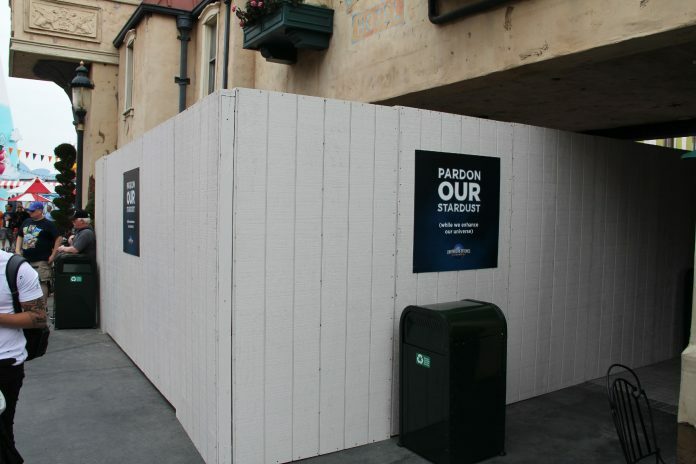 The Studio Tour queue refurbishment has been completed, so all is normal again. 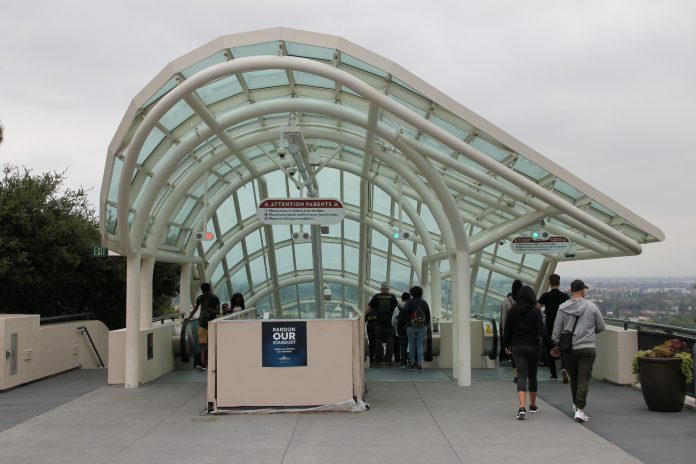 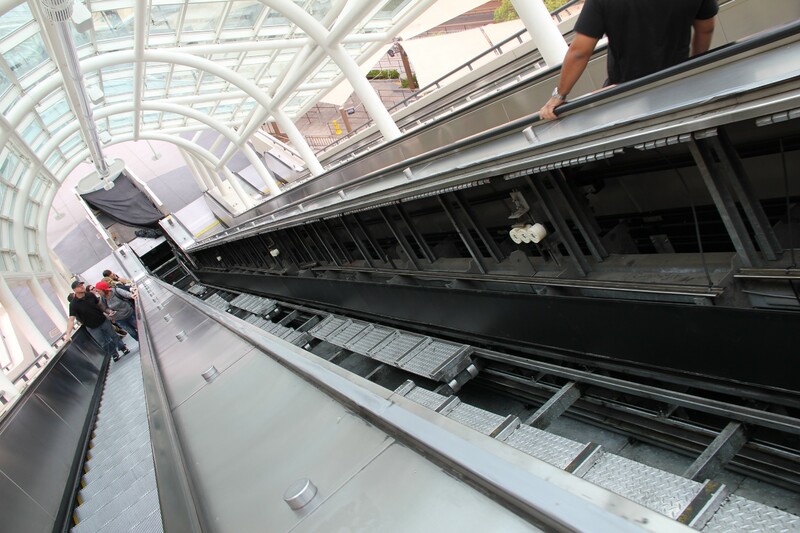 The refurbishment continues on the StarWay escalators. 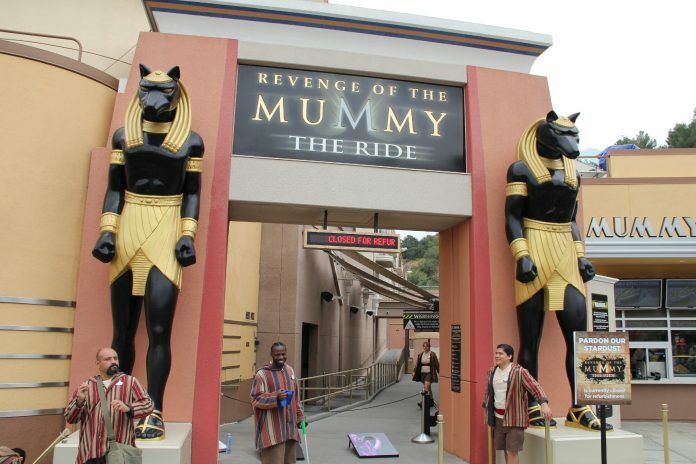 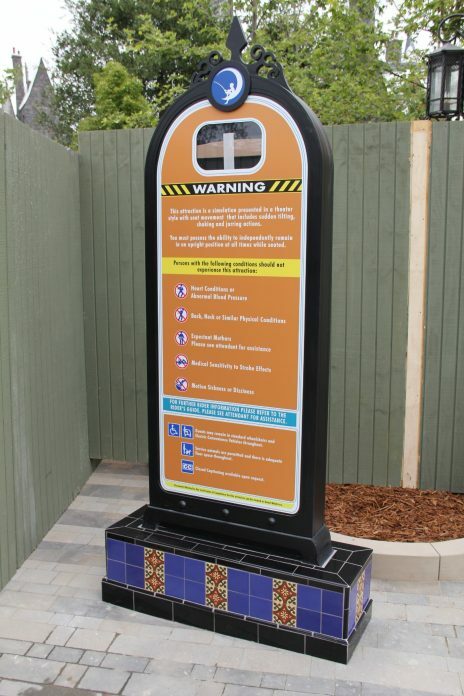 Universal placed a sign right before StarWay advising guests of the closure of Revenge of the Mummy. 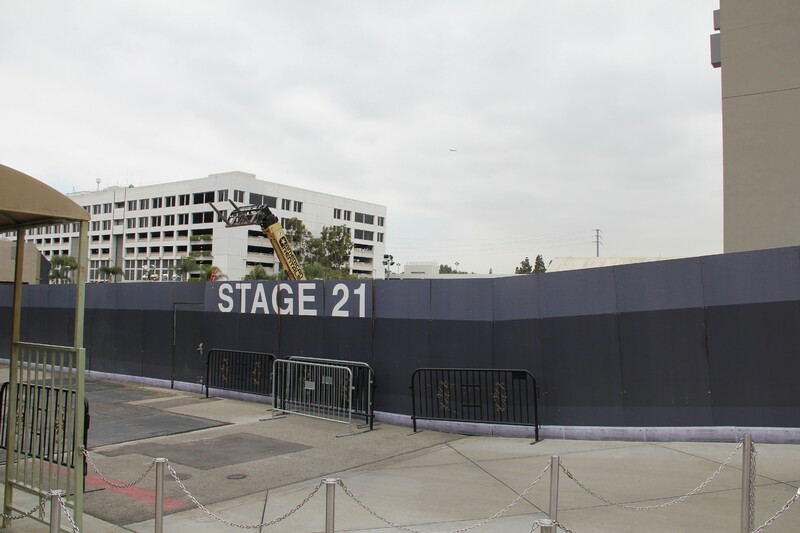 Sound Stage 21 hasn’t changed a lot since our last update. Sound Stage 28 is sitting idle with a pile of dirt, and work seems to have halted for the time being. Parisian Courtyard has the first signs of Halloween Horror Nights construction in the park. Expect this area to be closed for the next few seasons. 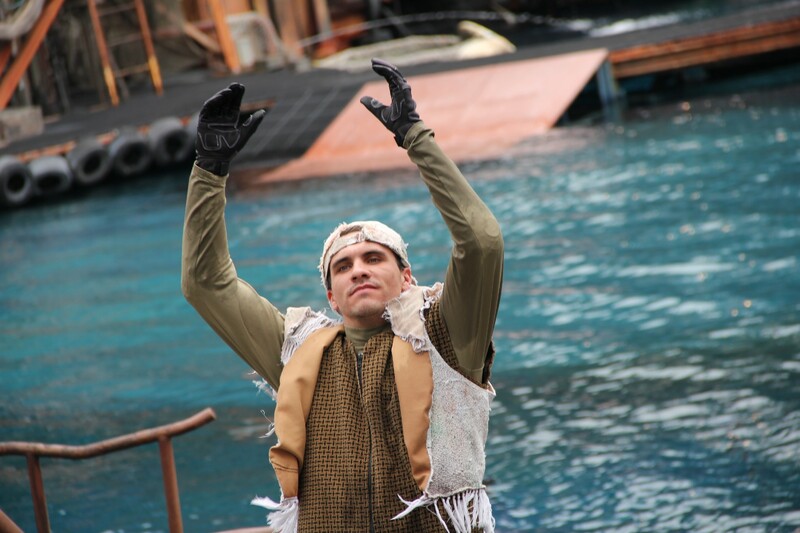 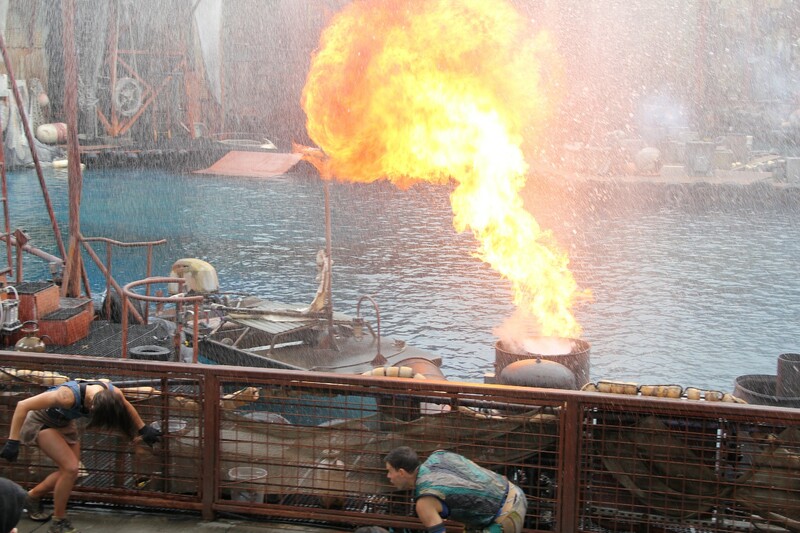 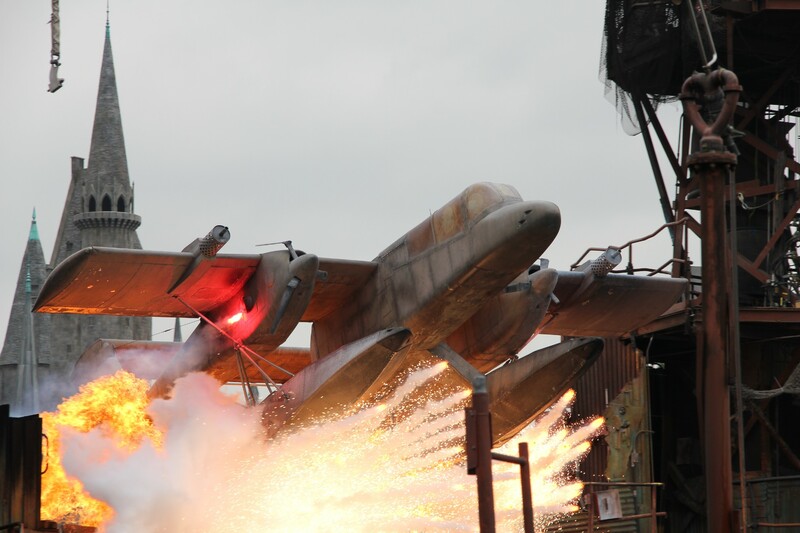 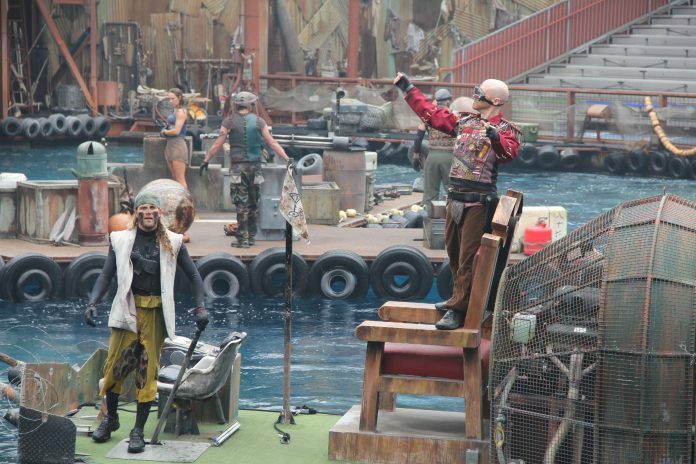 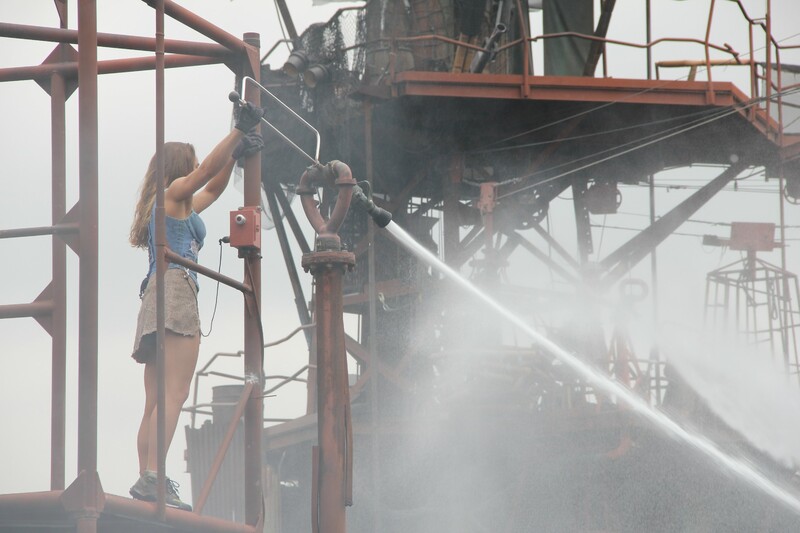 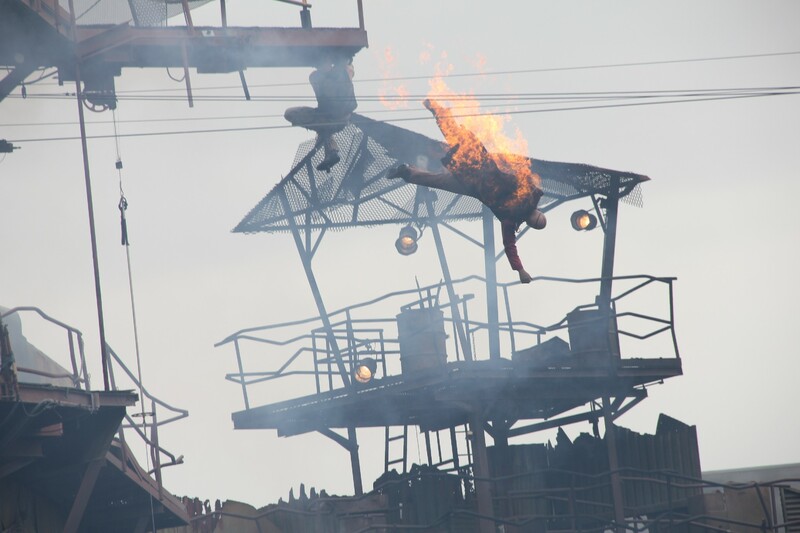 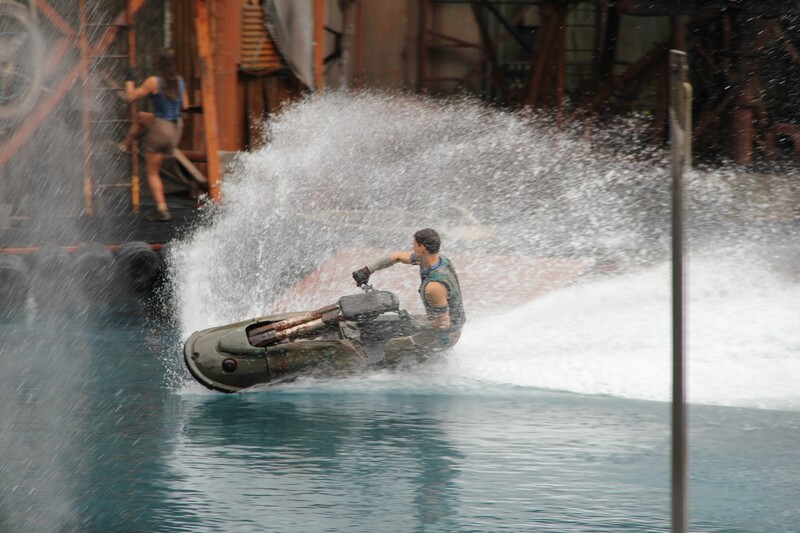 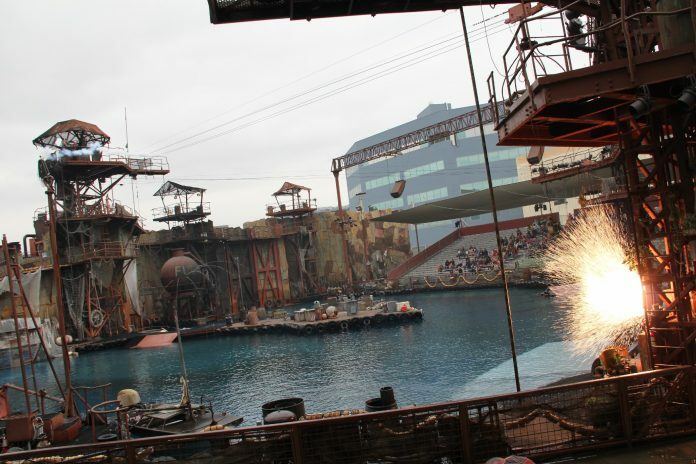 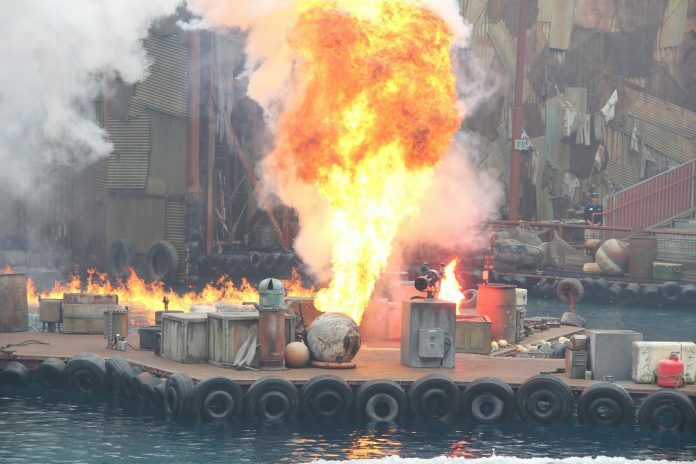 WaterWorld has returned from a brief refurbishment and is ready to bring the explosions for the summer. 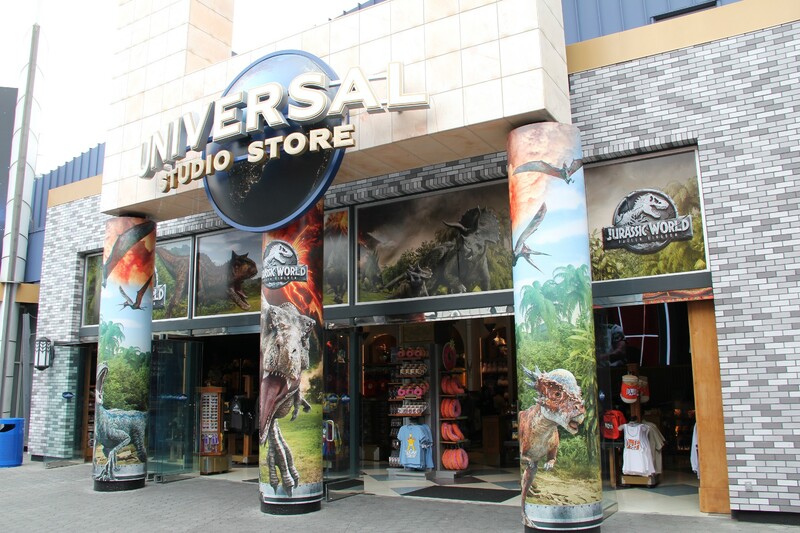 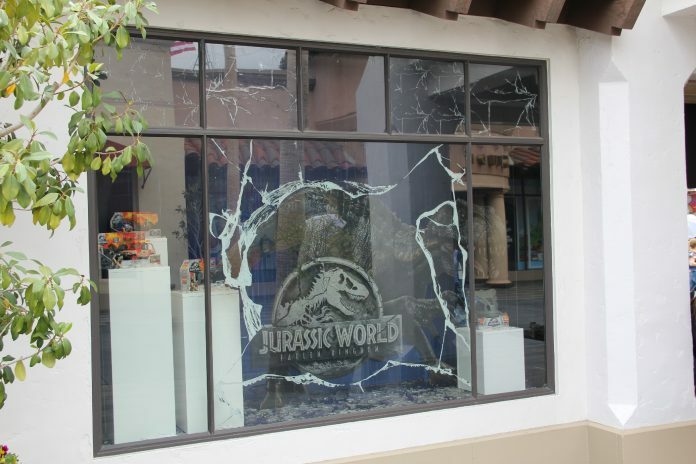 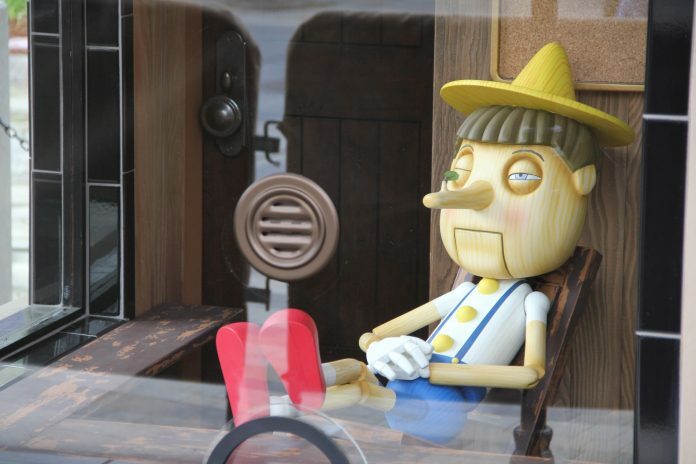 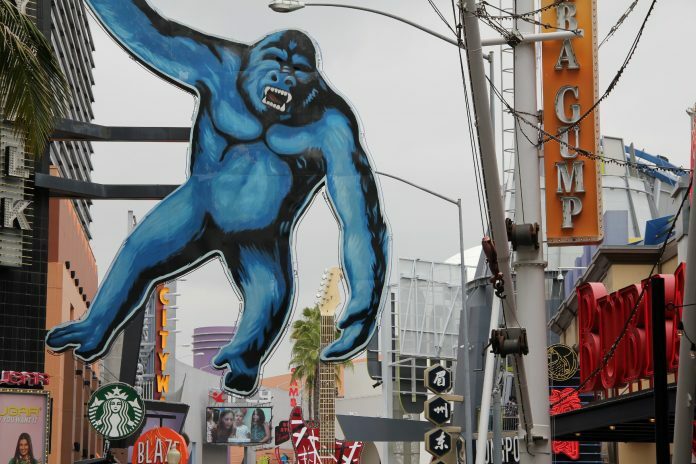 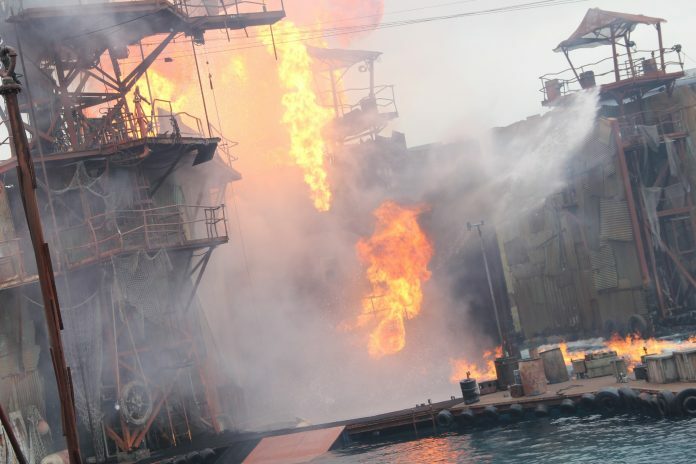 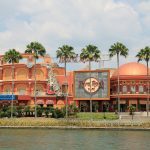 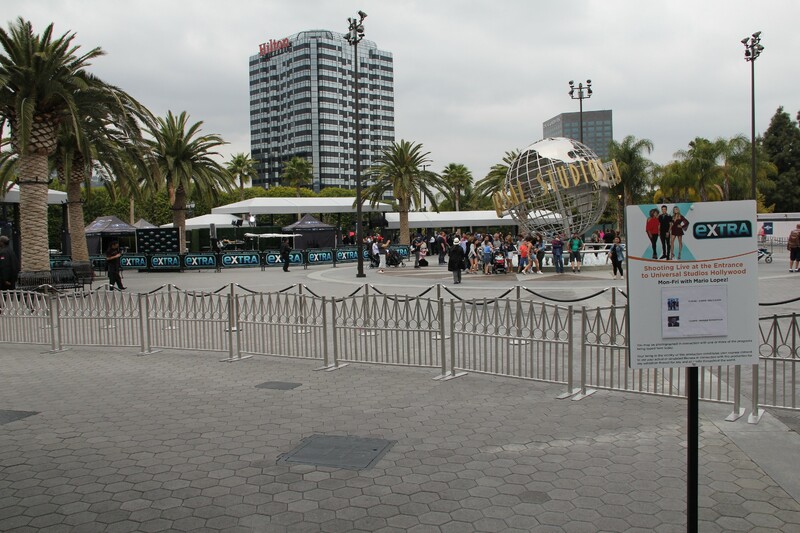 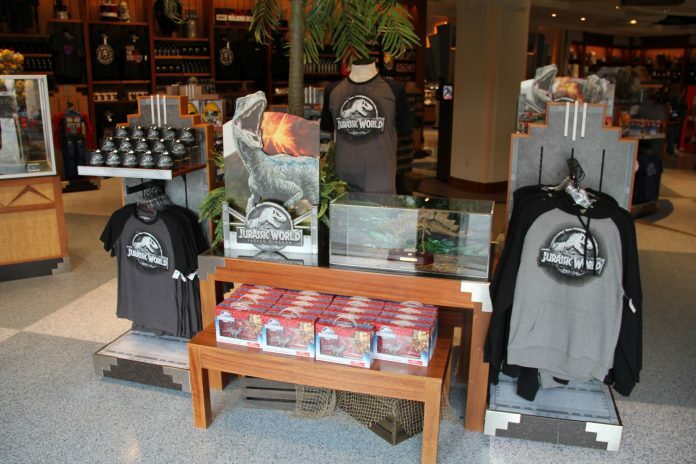 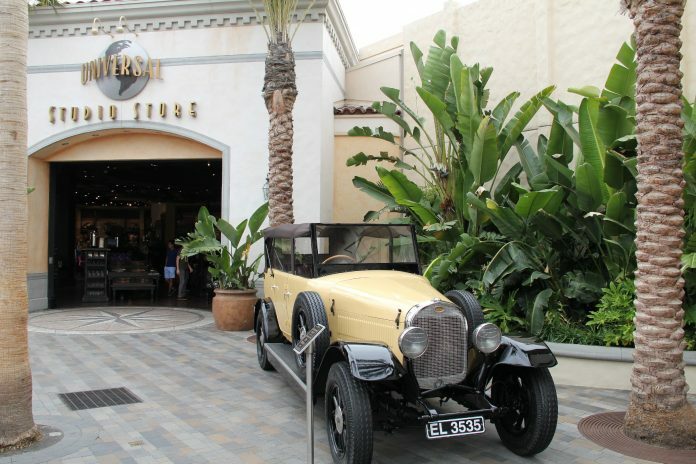 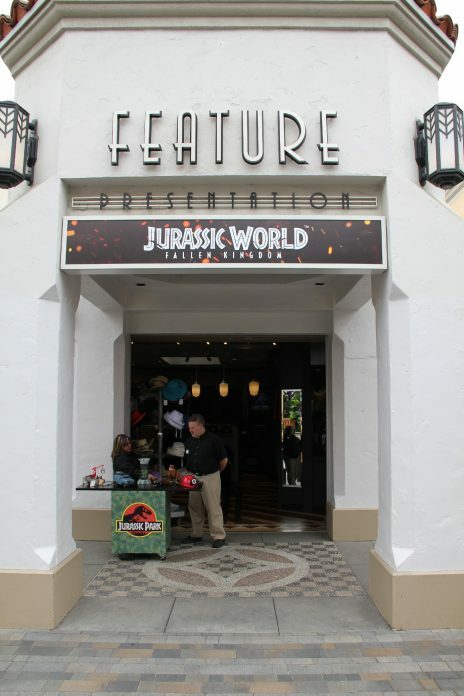 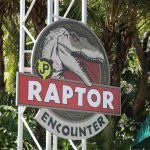 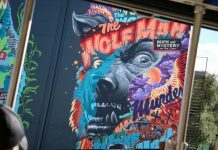 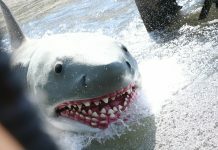 As the movie gets ready to be released in theaters this June, Universal has begun its marketing push around the park – especially around CityWalk and Jurassic Park.